Located at 2242 East Main Street, the Bexley Mayor’s Court convenes every Tuesday at 6:00 pm. This Court serves as a local judicial forum to rule on misdemeanor cases alleged to have occurred within the city’s limits. Here, the mayor of Bexley appointed a magistrate to preside over arraignments, pre-trials, probation revocation hearings, financial hearings, bench trials and sentencings. This Court hears misdemeanor offenses including theft, assault, and serious traffic offenses such as OVI/DUI, DUS and No Operator’s License. The charges brought in mayor’s court can be serious with fines ranging from $250 to $10,000, and/or jail time from 30 to 180 days, so it is important to have experienced legal representation even in a mayor’s court. 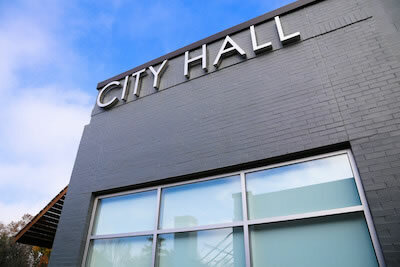 The attorneys at Funkhouser Law have a proven track record and familiarity with the Bexley Mayor’s Court. Funkhouser Law provides premier criminal and traffic representation advice to clients. Mr. Funkhouser and his associate will personally guide clients through every step of the process—from arraignment to evaluating the evidence, to ensure that clients receive the most favorable outcome with the least disturbance to their lives. Known for its large houses and estates, the city of Bexley is an old tree lined suburb just east of the Columbus metropolitan area. Notably, the governor of Columbus resides in Bexley in the Ohio Governor’s Mansion.